Upon reflecting on the civic leadership workshop we had this week, I was surprised to find a common theme that was consistent throughout the day: the idea of a common thread. This theme was first introduced in the morning panel and was consistently touched upon by each of the three speakers. I realized, however, that this can also be applied to what we talked about during lunch, and even during our stress management workshop we had in the afternoon. 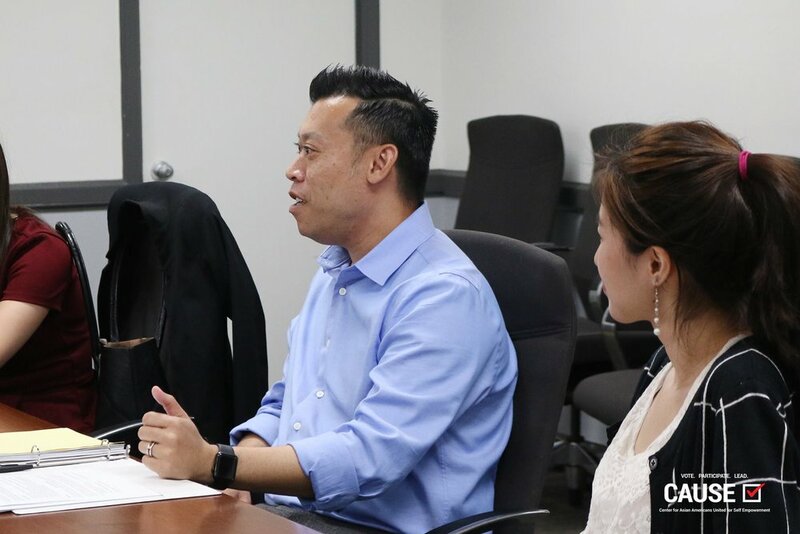 In the morning, the CAUSE cohort had the opportunity to speak with 3 panelists who specialize in labor: Devin Osiri, Hildy Aguinaldo, and Susan Li. Before going into the questions, Devin, the Political Director at AFL-CIO, gave us a brief overview on labor. He introduced us to the nature of the work he does in dealing with labor and the issues that arise. Devin said that “it’s not an even playing field in the world of politics,” noting that the private sector has more power in terms of money. However, he also pointed out that having the sole backing of large companies can lead people to question the politician’s intentions and that having the backing of unions is power in the symbolic sense of having supporters on the ground. Devin went on to mention how, with the advancement of technology and automation of labor, “the classification of labor is changing.” He then brought up the idea of the common thread, pointing out that people in unions have common interests in coming together. With people having less in common in terms of occupation, union membership is thus decreasing. 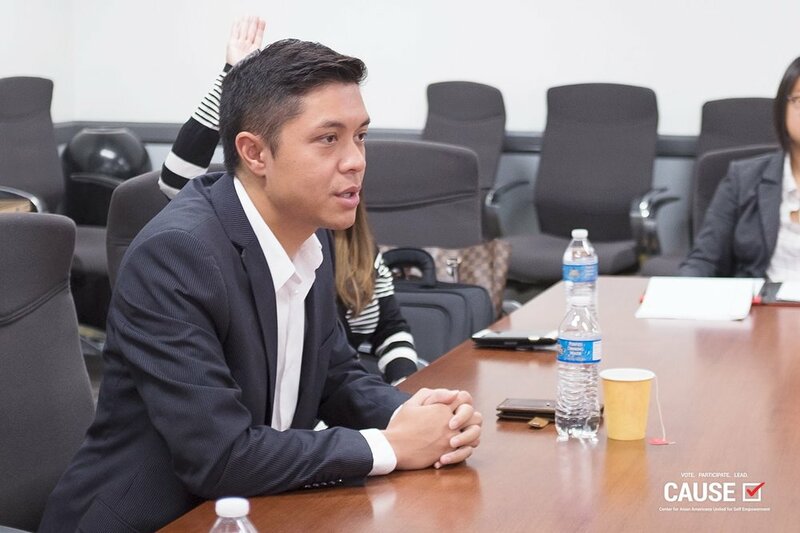 During lunch, the CAUSE cohort was able to converse with Adam Ma, a CAUSE Boardmember who works as the Community Relations Manager for SoCalGas. Adam emphasized that there is more than one way to make an impact on the community and that you do not have to work in the public sector to take on that role. The private sector is often very influential in the sense that they have the money to enact change. With people like Adam in the private sector, I saw that there is space for people in both the private and public sectors to come together to become even more effective in reaching their goals. At the end of the day, we finished off with the highly anticipated stress-management workshop. The main takeaway from this was the two mindsets people can have when exposed to problems: the learner mindset and the judger mindset. The learner mindset is the one to work towards, as it is one in which individuals can grow from. Something to note about this mindset is how it encourages one to be open-minded and to consider other people’s perspectives. Looking back, this seems to go very well with the theme of the day, as this mindset encourages understanding of one another (as well as one’s self) and it strengthens the bond – the common thread – between the people in the community.